Gary Lee Conley, 66, of New Bloomington, died peacefully Friday afternoon April 12, 2019 at his home surrounded by his loving family. He was born September 3, 1952 in Crestline to the late Clay and Mary Carol (Klein) Conley, he was also preceded in death by a brother, Terry Foy. Gary was a 1971 graduate of the Crestline High School. He was retired in 2009 as a Stamping Maintenance Staff Coordinator at Honda of Marysville where he worked for 23 years. Gary was a member of the New Bloomington UMC. He enjoyed iced coffee and chicken nuggets from McDonalds and watching the Cincinnati Reds. His dream car was a 1968 Plymouth Roadrunner. Music was always at the center of Gary’s life, back in the day, he was known around the Marion area as the “Best Drummer in Marion”, having played with the band Borderline. The Beatles were one of his favorite musical groups. But the true joy for Gary was his time spent with family, he cherished the trip to Tennessee last year with his entire family. 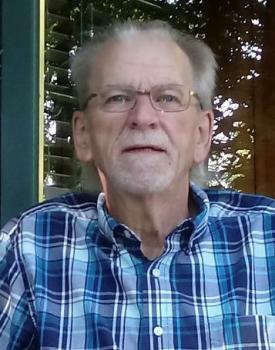 Surviving is his wife Connie Lorene (Schaber) Conley, they were married on October 10, 1971 in Marion, also surviving are his children: Chantell (Chris Haserodt) Conley of Prospect and Shaun (Jennifer) Conley of LaRue. Funeral services will be held Thursday April 18, 2019 at 2:00 pm at the Stofcheck-Ballinger Funeral Home in LaRue, Pastor S.T. Adkins will officiate, friends may call two hours prior to the service beginning at noon at the funeral home in LaRue. Burial will take place at a later date at the LaRue Cemetery. The Conley family would like to thank the Heartland Hospice for their care of Gary,. RIP Uncle Gary. I have so many great memories with you and Aunt Connie. I love you and you will be greatly missed. Our deepest sympathies to all of you, through this difficult time. Prayers of peace, and comfort. My heart goes out Connie and the entire family! Some of the best years of my life was spent with Gary growing up in Crestline and music was our game! It was rare to see one with out the other. Time and distance separated us for a number of years, but I've never lost the friendship that was formed so many years ago! Farewell my friend and Gods speed as you start your new journey ! Our thoughts and prayers to Gary's family. We knew Gary from Honda. So sorry for your loss. My deepest sympathy for your family and I Pray for comfort for your family. God be with you. We are sorry to hear of your loss. May GOD bless you and give you the strength to make it through the days ahead. Sorry for your loss, Gary will be missed. Condolences to the family. Gary was one of the finest men I have even known. I worked with Gary for 12 years at Honda and have a lot of good memories of him and the fun we had together. He will be missed. My deepest sympathy to all your family. I enjoyed working with Gary at Honda. So sorry for your loss. I worked with Gary for 20 years. He was a great guy! My deepest sympathy to family for your loss. I first met Gary when working at Marion Power Shovel. Gary was a smart, wonderful guy that brightened the work area. It was great to see Gary later at Honda where he is missed.